I know, I know. They’re the worst of the worst, right? I just don’t understand what’s so jawsome about non-casual gamers. Actually, I don’t even know what non-casual gamers are. 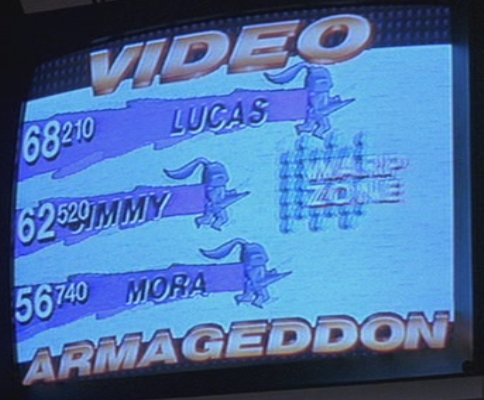 All that come to mind are professional game testers and that kid from the 1989 classic, The Wizard. I mean, don’t get me wrong. I’m hard-core when it comes to games with my boys Link or Mario. I do not, however, play Halo or WoW. But I digress. The purpose of introducing myself as a casual gamer is to introduce a very special casual game I found today. 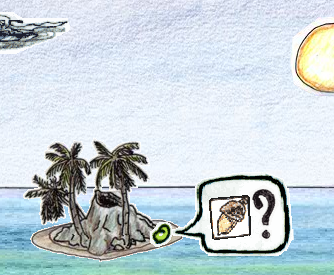 Sprout is a short, Flash-based puzzle adventure I found online this morning during a quest to cure boredom. It was more than effective, I assure you. 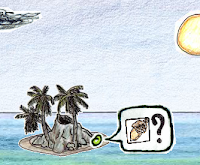 The player clicks on the coconut icon in the thought bubble, and Sprout grows into a p erfectly oriented coconut palm hanging off the edge of the beach. A coconut falls off the tree and into the water, and we follow it as it washes up on shore of the mainland, right next to a smarmy little dandelion. The coconut becomes Sprout again, and he starts thinking, “Hey. I could be a coconut palm again if I wanted to… or I could be a dandelion like that sucker over there.” The puzzle element starts here as you choose to be any of a number of plants Sprout meets on the way, in order to help him overcome the obstacles between him and the oak grove. Before I address the only two drawbacks to this game, let me hit a few of its good points. First good: the graphics. The crayon-scribble style, obvious in the screen shots, matches the whimsy of the story perfectly and is very easy on the eyes. I’ve seen this style abused and relatively obnoxious in certain commercial franchises which shall remain nameless****, but Sprout gets it right and keeps it right from beginning to end. What isn’t easy to see from the screenshots are the animation and three-dimensional effects. The scribbles of the ocean water flow back and forth like ocean water. Moving objects, including our hero, slide over the background as animated paper cutouts. The scrolling background even conforms to parallax as the immediate background, two layers of hills and clouds, and the sun all move at different speeds against the (paper-grained) blue sky. Next good: the general concept. I’m surprised no one came up with this sooner. A plant who can turn into different plants, each with its own ability. 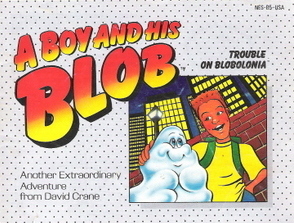 It’s very much like A Boy and His Blob but without the ridiculous kid and plot (but also without those jawsome jellybeans). I wouldn’t mind seeing a whole franchise of this character (or a similar one) in different settings and with different flora/fauna helping out. I mean, instead of a herbivore eating and defecating the hero, go further up the food chain, be eaten by a mouse who is then eaten and excreted by an owl! Hear that, developers? Get on this one! It’s a keeper! Final good: Did I mention how simple this game is? The player needs no reading ability, nor much of a working knowledge of botany, as there’s enough trial-and-error in this game that experimentation will show you most of the things your plants can accomplish (with a few notable exceptions). My six-year-old cousin and eighty-year-old grandfather could handle this game, since its large graphics and lack of hand-eye timing keep it accessible to those with little fine motor control. “What happened to those two drawbacks?” you may be asking yourself. Or asking me, which is even more ridiculous than asking yourself, since I’m back here speaking to you from the past and you are obviously well into the future. But I’ll answer you anyway: They follow. Drawback A: Certain tasks in the game are less than intuitive. Remember how I mentioned a few notable exceptions to the simplicity of the game? This is where I note them. At least once in this short game, the player is required to repeat the same action a few times until the desired result results. In most games the first iteration of this action has some effect, even if it’s only a fraction of the desired effect. 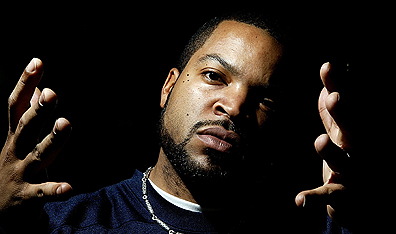 For example, if the player is melting an ice cube by throwing fireballs at it, the first fireball should melt the ice a little, just to signal that repeatedly shooting fireballs will eventually melt it. Sprout, however, does nothing the first time you attempt that action. Repeating what seems ineffective is counterintuitive and annoying. Games are meant to be frustrating, not annoying. Luckily Sprout provides more than enough jawsomeness to make up for that. Drawback B: Game’s too short. This revuer could have played for hours and hours, but no. Not much of a drawback, I agree, but play and see if maybe you don’t feel the same way. Final word: Watch out, Mario and Link. If this thing ever gets picked up, you’re in trouble at the next Smash Bros.
*Figuratively, yes, but I meant it literally. **All quotes loosely translated from whatever plant-language they speak. ****No sense offending the creators of Yoshi’s Island, ditto Story, etc.